Budget 2018: The government may raise minimum income tax exemption limit to Rs 3 lakh. Expectations are high that the government will announce some income tax sops for the middle class in Budget 2018, the last full-year Budget before general elections due next year. With eight state elections also due this year, the government is also expected to focus on the farm sector and small businesses. This will also be the first Budget after the rollout of GST, which came into force from July 1. Experts would be closely watching the fiscal deficit target for the next fiscal year. The Economic Survey, which was tabled on Monday, called for a pause in fiscal consolidation, leading to concerns that the government could widen its fiscal deficit targets for 2018-19. Income tax: In Budget 2018, the government may tweak income tax slabs and rates to bring down the burden on individuals, according to a survey by tax and advisory firm EY. 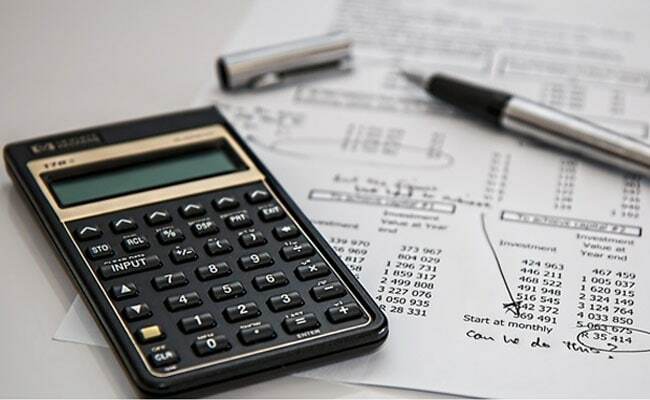 Review of income tax laws: The government had in November formed a task-force to draft a new direct tax law to replace the existing Income Tax Act, which has been in force since 1961. The move is aimed to make direct taxes - income and corporate - simpler. Any commentary on the new direct tax code would be closely watched. Farm sector sops: Ahead of the Budget, Finance Minister Arun Jaitley has already made his stand clear that the agriculture sector will be the top priority for the government. Its priority is to ensure the gains reach the farmers and the growth is visible even in the farm sector, he said at an event. Mr Jaitley is expected to step up funding of rural programmes such as MGNREGA, rural housing and crop insurance. The Central Statistics Office (CSO) has forecast the farm and allied sector growth to slow to 2.1 per cent in the current fiscal year from 4.9 per cent in the preceding year. Chief Economic Advisor Arvind Subramanian, who prepared the Economic Survey, has also called for more support to the farm sector. Markets will be focused on how much the government widens the fiscal deficit beyond the 3 per cent of gross domestic product projected for 2018-19. A Reuters poll showed most economists expect a 3.2 per cent fiscal deficit target for 2018-19 as the government looks to increase investments in key areas such as agriculture and infrastructure. But a deficit above 3.2 per cent could hit shares and send bond yields sharply higher, say experts. The government is also expected to stay on course with its focus on building highways and modernising the railways. Mr Jaitley had allocated a record Rs 3.96 lakh crore to infrastructure sector in last year's Budget. But the space for fiscal expansion remains limited at a time when the budget deficit is expected to breach the target of 3.2 per cent of GDP in the current fiscal year. A budget that significantly expands the deficit in the next fiscal year could spark a further sell-off in bond markets, leading to a continued rise in bond yields that could raise borrowing costs at a time when the government is seeking to stimulate growth. Also, the government's scope to increase revenues is limited because the power to levy indirect taxes, which make up about half of total tax collections, has been transferred to the Goods and Services Tax Council. The GST Council is administering the new tax regime, which came into effect from July 1 last year. To meet tough fiscal deficit targets, economists expect the finance minister to set an ambitious divestment target of as much as Rs 1 lakh crore from sale of state assets. Corporate tax: Experts don't see the possibility of a big cut in corporate tax rate for India Inc given the fiscal constraints. In his Budget speech of 2015-16, Mr Jaitley had said proposed reduction of the rate of corporate tax from 30 per cent to 25 per cent over the next four years.